Once you have had an offer accepted on a property there is a lot to do before you can exchange and know the home is legally yours. Alongside arranging a mortgage, organising a conveyancing solicitor and calculating your stamp duty bill you also need to arrange a survey of your potential new home. A survey to examine the condition your home is an essential part of the home buying process. It involves an expert inspecting your property and highlighting anything that might be a concern, unsafe or cost you money further down the line. Depending on the type of survey you get, the surveyor will tell you if there are any structural problems with the property such as unstable walls or subsidence. They will also highlight any major repairs that are needed such as fixing the roof or chimney. There are several different types of survey you can get from a basic condition report to a full building survey. Which one you should opt for will depend on your personal choice and how thorough you want to be. You can find out more about each of the different types of surveys in our guide to surveys. Whatever type of survey you are opting for it is important to book it in early. Once your offer has been accepted it’s a good idea to get your survey booked in. This shows you are a serious buyer and keen to move. 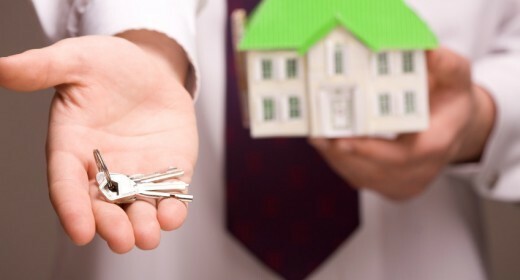 It will also get you to the point of exchange – and legally owning the home – quicker. 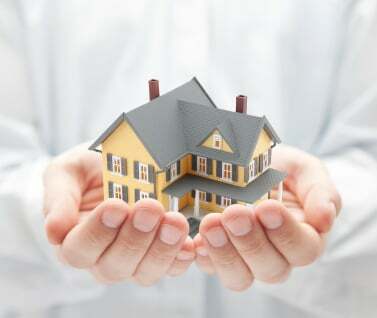 Before you book your surveyor, do consider Home Buyers Protection Insurance. 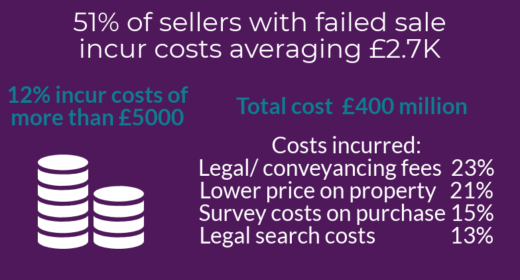 Surveys cost hundreds of pounds and you could be left out of pocket if your seller pulls out of the deal after you’ve paid. In 2018 we our research into Selling Pain Points, found that 300,000 property transactions are falling through every year, in large part due to buyers pulling out of the deal, costing sellers a total of £400 million. We also found 51% of people incurred a cost of £2.7k. Home Buyer Protection Insurance will cover the cost of your survey and more if the sale falls through – for a £47 one off premium. How long will getting a house survey take? Once you are in touch with your surveyor the process should only take a few days. If you are lucky and your surveyor has an opening, you could find they are in the property and producing your report within 24 hours. At the other extreme we’ve heard of surveyors taking up to a month to get their report back to buyers. That’s why it’s a good idea to make the call and book them early in your purchase process. The surveyor’s diary. You have to wait for the surveyor to be available to go to the property and conduct his report. The seller’s diary. The surveyor has to agree a suitable time with the vendor when they can go into the property. The survey process – The amount of time it takes to conduct a survey depends on the type of survey you opt for. A Homebuyer Survey takes around 90 minutes to four hours of the surveyor’s time onsite. In contrast a building survey could take up to eight hours as it is a far more in-depth process. Writing the report – Finally, you have to wait for the surveyor to produce their report after they have visited the property. Again, how long this takes will depend on the type of report and the depth the surveyor goes into. There can be huge variation between the level of detail and length of reports even for the same type of survey because RICS don’t dictate what reports should and shouldn’t include. It could take from a few hours for a homebuyer survey to 10 working days to produce a building survey report. There are things you can do to speed up the process of getting a survey. One way to keep things moving swiftly is to deal directly with your surveyor. This is another reason why we wouldn’t recommend going with an in-house surveyor offered by your estate agent for example. A network like this can slow the process down as you are communicating through middlemen. Unfortunately, there isn’t a ‘quiet time’ of year when you can get your survey done extra quickly. The surveyors we spoke to said they are busy year-round, with it only easing off in December and early January. Another way you may be able to speed up the survey process is by asking the right questions before you choose your surveyor. Speak to a couple and get an idea for how busy they are and how they work. Am I booking directly with the surveyor or am I booking through a network or large company? In general booking direct is faster. What are your qualifications? We’d recommend you use a surveyor who is a member of the Royal Institute of Chartered Surveyors (RICS). Can I meet the surveyor at the property? Can I speak to the surveyor after the report to talk through any points of concern? Will the report contain photographs? This can slow down the process so if you are short on time you could ask for the photos not to be integrated into the report but sent in a separate file instead. What is the target time from the day of booking to the day of the survey? What is the target time from the day of the survey to the delivery of the report?